With the abundance of marketing material available through vendors (and probably your own firm), you might be tempted to rush into creating the tactical pieces (e.g., brochures, ads, or social media posts) before fully developing the strategy behind them. But there is a crucial first step you need to complete before you start thinking about how many brochures to print or how much ad space to buy: creating your brand statement. This is vital for defining both your firm's identity and that of your ideal client, not to mention your overall marketing strategy. So, where should you begin? Your Personal Brand "Mad Lib"
(My firm) is the only (noun, competitive category) that provides (plural noun, your target audience) with (plural noun, emotional benefit) by/through/with (adjective, your unique differentiator). Commonwealth is the only independent B/D–RIA that provides high-end, high-integrity advisors with the best products, services, and indispensable support they need to successfully run their businesses, their way, all with a unique sense of community. Discussing your expertise in specific terms may make you uncomfortable. Narrowing down your target market may feel limiting. Once you've honed your brand identity to specifically identify your key attributes and those of the clients you'd like to work with, it will help you attract more of the clients you want, not just the clients you've ended up with. Take a look at your book of clients. Think about how they came to you and categorize them. What common characteristics do they possess? Are they the same age? Do they have the same level of investable assets, work in the same industry, or move in the same social circles? Pay special attention to the top 10 percent of your clients. After all, don't you want more clients like them? Am I catching the fish I want? Was the money I spent (buying lists, sending mailings, purchasing ad space, etc.) to catch them worth it? When I reach more people, are they the right fit for my firm? A more plausible—and effective—marketing strategy is to perfect your brand statement by narrowing your field and targeting your ideal clients where they are. Client referrals can be another valuable tool for bringing new clients to your door. You've probably discovered, however, that even a referral from an existing top client isn't an automatic win. What's worse, it can actually cause stress and potential awkwardness with the referring client if you don't accept the friend, brother, or neighbor as a new client. You may wind up stuck between accepting a nonideal client and upsetting your existing client. Neither option is appealing. So, what can you do to prevent this? Never disclose the personal reasons behind turning away a potential client. Turn that potentially uncomfortable conversation into an opportunity for your clients to further promote your brand to the people you're trying to attract. Thank your client for thinking of you, reinforce what your services are, and emphasize why he or she is such a good fit for your firm. This deepens your client relationship, as well as gets your client to start thinking more specifically about people who may be an ideal fit. Think about the last 10 referrals with whom you interacted. Of those referrals, how many did you actually convert into clients? Analyze why and why not. No matter the number, be sure to always apply the same brand statement to all potential clients, including referrals. By creating your brand statement, you can put into words the value you offer as an advisor, which will help you communicate this value more easily to potential clients. Just remember, this is a highly personal matter. Every emotional and professional nuance should be carefully considered. But the end result of this process will be a concrete brand statement—the first step in both defining your firm and reaching your ideal clients. 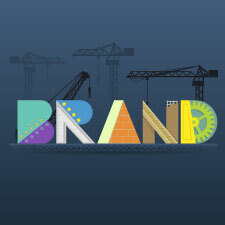 Have you successfully created a brand statement? What process worked for you? Please share your thoughts below.